What’s Magical About Our Community? 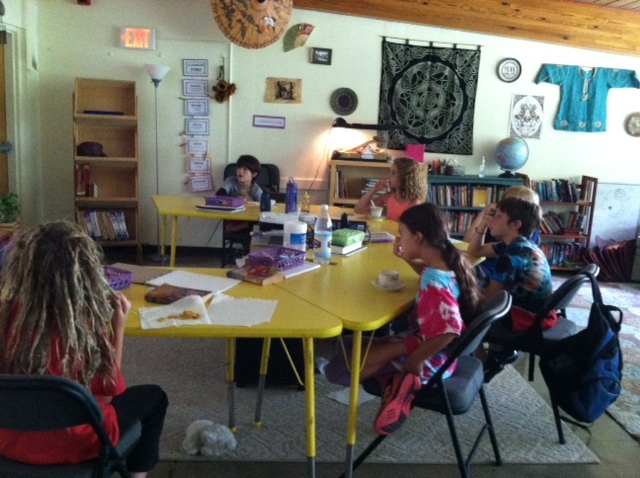 Odyssey fourth and fifth grade students are engrossed in a fascinating Ted-Ed Talk and enjoying a cup of herbal tea at our weekly Ted & Tea event. Preparing students, families, and educators to lead the 21st century with an authentic sense of self. If you have questions about Odyssey’s mission, community, or programs, please give us a call! You can also contact us to schedule a tour, meet our teachers, our directors, and visit our learning spaces. Every two weeks, Odyssey's Executive Directors send out a newsletter of upcoming events, community news, and notable opportunities. Keep your ear to the ground and subscribe! © 2016 Odyssey Community School. All rights reserved.